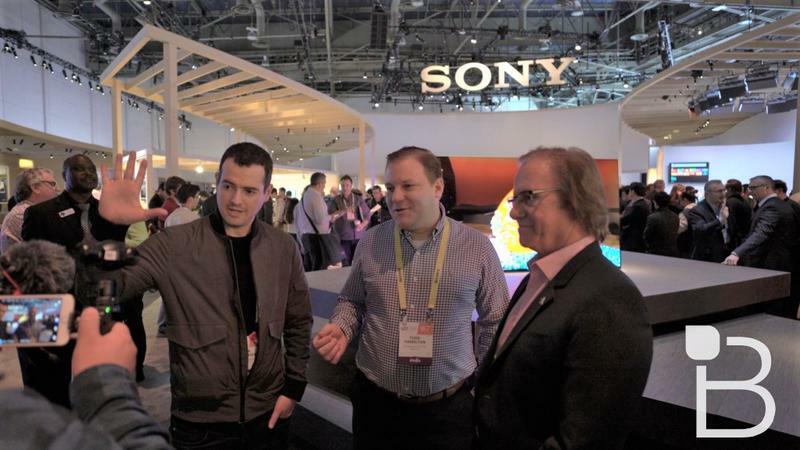 We had a moment to catch up with Sony Electronics president Michael Fasulo during CES 2017. Fasulo heads up the Sony’s home entertainment division that includes devices such as TVs and speakers, in addition to Sony’s camera business. Since Sony just debuted its first OLED TV at the show, the XBR-A1E Bravia 4K, we decided to focus on that, and some of Sony’s plans for 4K in the future. TB: I saw you have Google Home in your booth. Alexa is huge at the show. Does Sony have plans to develop its own smart home speaker? Fasulo: We’re already in that market. Not entering it. Our TVs are all Android. Taking the Android platform from the smart TV perspective, and now Google Home, you’ll be able to voice activate and control our televisions going forward. We’re also working with Amazon and Alexa or Echo but from a platform point of view, our standard right now is the Google platform, Android TV and Google Home. TB: This is your first OLED TV. Can you tell us a bit about it and perhaps why it’s better than what the competition offers? TB: Sony at least recently has waited to enter markets. Why is timing right now for OLED to enter the market? Fasulo: We’ve been manufacturing and involved in OLED manufacturing for years. On a professional side, we still have the reference model for studio companies. Up until now, it’s been very difficult to produce scale and quantity in larger sizes. But that’s becoming more efficient. It’s just a matter of timing, not about waiting and seeing, but getting it optimized so we can produce scale. TB: Last year you said 4K UHD is a growth catalyst. Our readers want to know why 4K Blu-Ray isn’t in the PS4 Pro. Is there a reason you’re waiting? Fasulo: Founded in choice. Streaming has insignificant momentum and growth. We want to support streaming. We want to support all mediums of entertainment. The Pro is doing great and we’ll be introducing our 4K UHD Blu-Ray player in the spring. So, a standalone Blu-Ray player. So consumers can get the best of both worlds. TB: One of our questions we had was about Sony’s foray into virtual reality and augmented reality. People are waiting to see what Sony is going to do with AR. Fasulo: That’s a great question I’m glad you asked that. I’m not sure how many people know the difference. Augmented reality is taking existing facts and data, images and content, and making it coming to life. Virtual reality is creating fresh. We launched our PlayStation VR this holiday. PlayStation had a phenomenal holiday. From the gaming point of view, we see VR expanding even beyond gaming. Right now the priority is gaming. There’s a lot of B-to-B opportunity in VR as well. From the augmented reality perspective, we currently not only have the capability but have done events we’re we’ve used augmented reality. I did an event last year around the All Star Game and there was a famous announcer that was being honored and through augmented reality, we had him come out of the poster and take pictures with people even though he wasn’t there. It’s something we’re really involved in and engaged in and over time you’ll see more. TB: We know this falls out of your scope. What’s Sony’s play in the mobile space. Is there a new course? To your point, it’s not under my responsibility, but we are working across companies to delivery a one-Sony effort. What you’ll see here is some mobile devices around the booth. We’re trying to introduce products that have merits of standing on their own. Whether that’s gaming, entertainment or whatever. We want to take the consumer pain points away. That’s why we partner with companies like Google for Google Home or Dolby Vision. Smart Assistants are important. Maybe not a single smart assistant, but multiple. We prefer the customer doesn’t have to repurchase everything they own. If we can send them an upgrade, connect devices together, especially with content, even if it’s using third party partnerships to do that. That’s what we’re trying to do. Bring entertainment to consumers, give them choice. TB: What’s next for PSVue? We know this isn’t your division, but curious how it plays into products you’re introducing here. That’s all! Check out the video of the interview at the top of this post.